Winter is over and now there is no excuse to have dry and flaky skin. Meet our favorite body butters, which will keep your skin mega moisturized and hydrated 24/7. 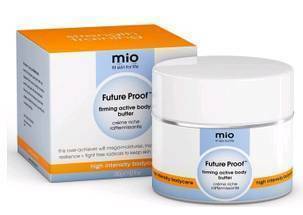 Bonus: Korres, Lavanila and Mio creams are natural which will add to that healthy glow. About: This soothingbody cream will transport you and your sense to the Greek island of Santorini. Smoothing and moisturizing body cream, ideal for dry elbows, heels and knees. Shea butter and Quince extract have softening, moisturizing and restructuring properties. Sunflower, Almond and Avocado oils nourishes the skin, thus restoring its elasticity and smoothness.The body butter offers a distinct, naturally sweet aroma, influenced by the volcanic soil and the sea air. Also, the scent has notes of green apple, floral, citrus and peach for the ultimate Greek Summer sensorial experience! About: This moisturizing must have is a strength building firming active body butter treatment.This over-achiever will mega-moisturise, increase bounce and resilience and fight free radicals to keep your skin strong and supple with a healthy 24-hour glow. About: Fresh Vanilla Lemon: The Bright and Clean Scent. A refreshing blend of juicy lemon, watery fruits and pure vanilla softly scents skin. Instant Hydration. This super soft, all-natural body butter absorbs instantly for deeply hydrated, luxuriously soft skin. 100% pure Shea & Cocoa Butters blend with powerful antioxidants and essential oils for long-lasting hydration. With super soft scents and a non-greasy formula, prepare for the ultimate indulgence. Available in Fresh Vanilla Lemon and Vanilla Summer. Launched April 2014.